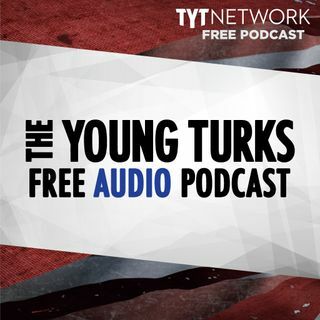 A portion of our Young Turks Main Show from March 1, 2018. For more go to http://www.tytnetwork.com/join. Hour 1: Cenk & Ana. Alex Jones lists reasons he’s not anti-semitic siting his wife’s big nose as proof. Trump's rebukes of Attorney General Jeff Sessions have included referring to him behind the scenes as "Mr. Magoo," The Washington Post reported Wednesday evening. Hour 2: President Trump’s decision to impose tariffs on imported solar materials is already taking its ... See More toll on U.S. jobs. After putting plans on hold last month to expand its factories in the United States, SunPower Corp., one of the nation’s largest solar panel manufacturers, now intends to lay off between 150 and 250 workers from its U.S. operations, or 3 percent of its global workforce, as part of a plan to cut operating expenses by 10 percent. Dow closes more than 400 points lower after Trump says steel and aluminum tariffs coming. A Virginia immigration court on Monday could decide to deport the wife of an Army 7th Special Forces Group veteran, despite provisions in the law that allow her to remain in the United States.